There are many important factors that go into matching top talent to the right career. There are a lot of details for a recruiter to gather about a position, such as the culture of the workplace, ideal candidate profile, position basics, compensation, positional situation, etc. But what are the most important questions to ask your client during a job order call? They all related back to one thing: urgency. In contingency recruiting, the orders we work on are project-based. That means, you complete one project and move on to the next. For this reason, the majority of the positions we fill are described as “urgent.” How then is a recruiter supposed to know which ones are the most urgent? 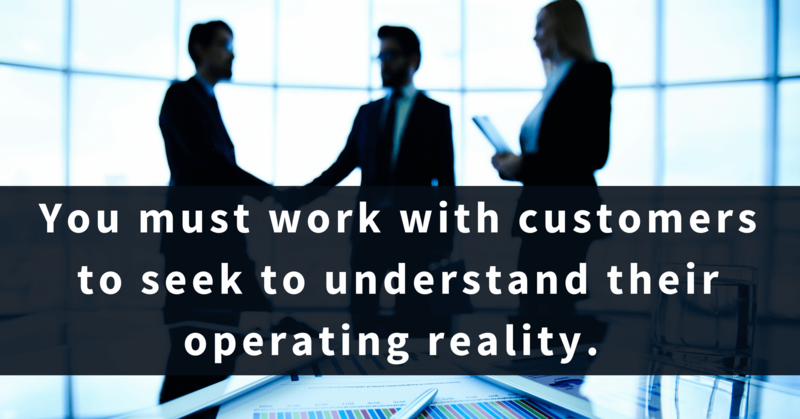 You must work with customers to seek to understand their operating reality. Through seeking to understand you can mutually set a timeline to determine which job order should take priority. This is essential for efficiency and will allow you to serve your clients to the best of your ability. You should not stop at the superficial “What is your urgency?” question. You need to learn the pain points of their open position. In turn, this will decrease stress and tension, by making sure you both understand the situation at hand. Once you have hammered out the timeline with them, there will be an open and authentic relationship built on accountability. How long has the position been open and what have you done to try to fill it? From these results, what qualities have the candidates lacked? What main problems will filling this role address? How is this affecting your bottom line and/or plant/departmental performance? A great recruiter will be a consultant and work around the timeline you established together. This will reduce ambiguity on next steps. Then, you can prioritize your work and give an accurate expectation of when to receive results..
Keep these tips in mind when beginning your search for top talent. Have a conversation about the job order timeline early on in the recruiting process and solidify the expectations surrounding the partnership. Having a defined plan will help you work the job order better, while also keeping the candidates aware of the time frame. Thus, you can work more orders and make more money for your business.